KUALA LUMPUR, Malaysia — Scandal-plagued Datuk Seri Najib Razak’s mark on Malay popular culture may have been further cemented after his now viral catchphrase “Malu apa bossku?” (Why the shame, boss?) spawned a rap song. The music video mainly criticises the current Pakatan Harapan government for its allegedly unkept promises and repeated “U-turns” to the public among other things, and leverages on Najib’s rising status as the chief critic of the government. In the lyrics, it likens Najib’s often cynical comments to be as popular as trending jokes on the internet and that he has nothing to be ashamed of as he is simply presenting facts. 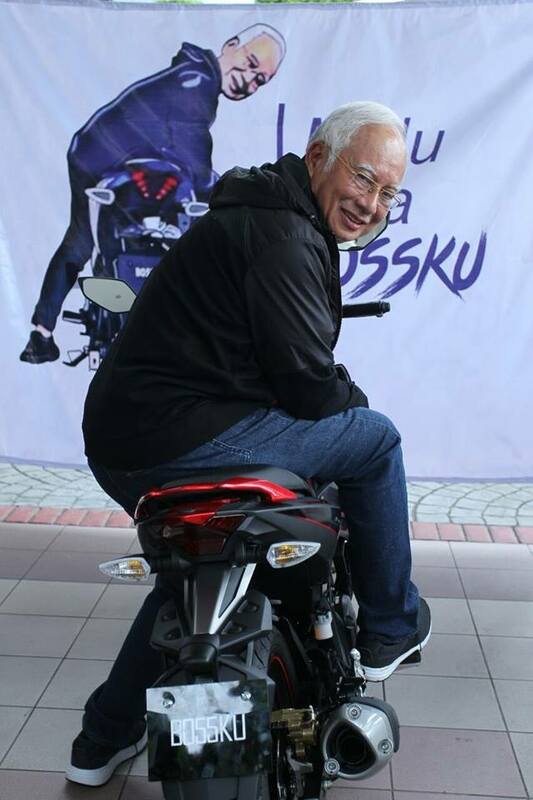 The song also leverages on Najib’s a caricature of him riding a black-and-red Yamaha Y15ZR 150cc moped, popularly known as Ysuku among the blue-collar youth. “I felt sorry because the songs that I created before were used to criticise the former government’s policies and the former prime minister without researching the issue at hand first,” he said. “The one-minute and 23-second song on social media actually takes just two hours to be produced. “However, that’s just part of the original song that lasts about three minutes,” he said. Over the weekend, the phrase “Malu apa bossku” had even made its way into the popular song contest Anugerah Juara Lagu 33, prompting Najib to tout his own popularity. It’s likely a welcome distraction to the ongoing charges against him pertaining the state-run 1Malaysia Development Berhad (1MDB), including tampering with the audit of said fund.